Workington have snapped up Ryan Fieldhouse on a two-year deal from rivals Barrow. 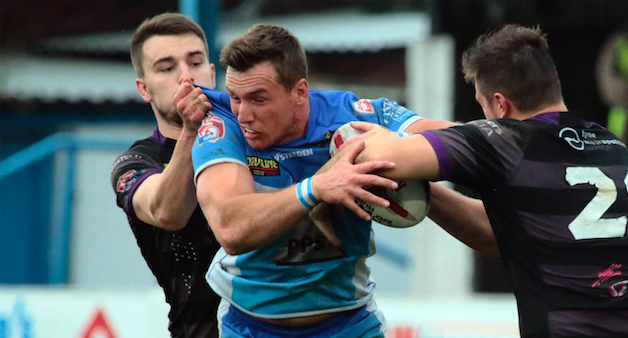 The experienced full-back has spent the last three seasons at the Raiders, but will move across Cumbria to represent Town in League 1 next year. Fieldhouse scored 41 tries in 80 appearances during his time at Barrow. On joining Workington, Fieldhouse commented: “I had three great years at Barrow, winning promotion and playing in a great team. “I was approached by a number of Championship clubs but when Town approached me and I spoke with the coaches about the team they were putting together, I jumped at the chance. “Town went so close last season and the chance to win more silverware and the chance to help the club get back up to where they belong is a great opportunity. “The club seems to do all the right things on and off the pitch and I can’t wait to get started. I’m really looking forward to the new season and I can’t wait to meet all the boys next week for the start of pre-season. Town’s director of rugby Les Ashe said: ‘’Ryan is a vastly experienced player who is very quick, has great hands and supports the ball very well. Fieldhouse is the son of former Great Britain international, John Fieldhouse.